This is the fourth year I’m using G Suite for Education, but the first year with my 5th graders. I can see a lot of potential working with online documents, as I can easily provide feedback and comments. I can now send all my important messages and reminders there, plus assign homework and classwork. My students are all in one place, each neatly organized in a class. It was a bit challenging at first as there were too many instructions for creating and sharing documents. Now all they have to do is go to Classroom and see what work they need to do. All the information they need to access is in one place. Google Classroom is simple to setup and since it was built specifically for education, there are instructional benefits to using it with students. For example, you can use Classroom to send specific assignments to individual students instead of the whole class. This feature allows teachers to provide students with the resources they need when they need them. Classroom also provides the flexibility for group work too. Teachers can promote collaboration and assign work to groups of students using Classroom so learners can work together to complete projects. Use Classroom to send messages, assign, collect, and grade work, and share learning materials in one single place. Click on each card below to get started. The Impact of Technology on Teaching. G Suite for Education and Google Classroom. Think about the impact of technology on your life. Has technology saved you time and made you more efficient? How it might affect or is actually already affecting your teaching. The role of rote learning has decreased as students have instant access to the world’s knowledge. Students can take ownership of their learning. Additionally, technology helps cater to individual student needs: resources can be personalized for students and teachers can offer digital feedback. Accordingly, technology is a tool to support teachers in their efforts to increase student learning. G Suite for Education is a suite of tools that can help you increase opportunities for critical thinking, communication, collaboration, and creativity, all while supporting the learning objectives that you have for your students. 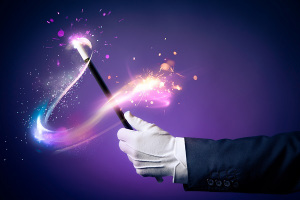 These tools are free, ad-free, reliable, and secure. They are already used by millions of students in schools around the world. Of course, free is great, but the best thing is that these tools are relevant to students, easy to use, and open doors to many new ways to learn. G Suite for Education also includes a number of Google products that promote collaboration among students and with their teachers. Students can work together, in class or at home, to complete assignments and group projects. All of their work is auto-saved, and they can even edit without WiFi. Most educators dread using printers and photocopiers, but they’re necessary when you need to make class copies of your documents. All this changes when you use the G Suite for Education. The great advantage is the concept of a live document: there is only one version of it and edits are made in real-time. When you (or someone you are collaborating with) make a change to the document those changes are all saved in the same place for everyone to see. Communicating information to all members of your classroom community – students, parents and other teachers – is one of the most important yet time-consuming tasks you face as a teacher. For help, click the icons below. You can create a Google Site by clicking NEW in Google Drive and then selecting More then Google Sites. Give your new file a name and it is automatically saved in your Drive. You can also visit the Sites homepage and click the red + in the bottom right corner. Google Classroom is perfect for copying and sharing docs with your class. You can also use it to distribute and collect assignments effortlessly. Google Classroom saves you time, keeps you organized and helps you communicate with your students. Get started today, with resources, tips and tricks from educators like you. 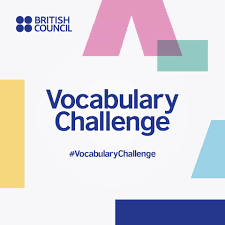 Try learning vocabulary and playing fun games at the same time! For example, you could use the words in the free picture books and vocabulary lists to play Charades or Pictionary. Look at the vocabulary pictures together. 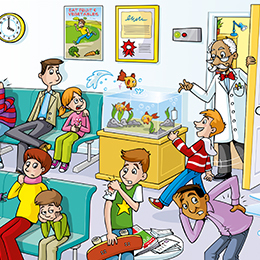 For example, here’s a picture called At the doctor’s. Try using a mixture of closed questions, which assess quick factual knowledge (e.g. Where is the doctor? ), and open questions, which assess reasoning (e.g. Why do you think the doctor is looking surprised?). If you are a parent or a teacher, find time to sit with your children and look at the book. Talk together about what you see. The ‘Let’s talk!’ questions on the picture pages give ideas of what you can talk about. Try and help your children to move from one-word answers to longer answers. Find words in the pictures. There is lots of action in the pictures. Ask your children to talk about what they see. Can they tell stories about the people in the pictures? They can then begin to use the words for a real purpose. See if the children want to test your English too! What can they ask you to find in the pictures? The topic of digital citizenship is certainly gaining momentum around the world. Whether it is called digital citizenship, digital wellness or digital ethics the issues are the same: how should we act when we are online, and what should be taught to the next generation. Digital Citizenship is more than just a teaching tool, it is a way to prepare students/technology users for a society full of technology. As teachers, we know the value of good citizenship in the classroom and school community. But today, students need to be good citizens in the digital world as well. Their digital behaviour has a big impact on themselves and others, and what makes good or bad digital citizenship may not always be clear. One of the first agreements that needs to be made is that preparing students to be literate digital citizens is everyone’s responsibility. Teachers, administrators, parents, and students all play a role. Integrate digital citizenship lessons in class. You should have selected all of them because these are the four pillars to learn Digital Citizenship. Several organizations have developed support materials and full curricula that can be used when planning instruction. For instance, Common Sense Media’s K-12 Scope and Sequence provides lesson plans, activities, and assessments. 1. Passwords: Do students know how to create a secure password? Do they know that email and online banking should have a higher level of security and never use the same passwords as other sites? 2. Private information: Do students know how to protect details like their address, email, and phone number? She recommends the Common Sense Media curriculum on this. 3. Personal information: While this information (like the number of brothers and sisters you have or your favourite food) can’t be used to identify you, you still need to choose who you will share it with. 4. Photographs: Are students aware that some private details (like license plates or street signs) may show up in photographs, and that they may not want to post those pictures? Do they know how to turn off a geotagging feature? Do they know that some facial recognition software can find them by inserting their latitude and longitude in the picture—even if they aren’t tagged? 5. Property: Do students understand copyright, Creative Commons, and how to generate a license for their own work? Some students will search Google Images and copy anything they see, assuming they have the rights. 6. Permission: Do students know how to get permission for work they use and do they know how to cite it? Digital citizenship is a topic that we need to address more carefully and thoroughly in our schools. Our students must be aware of what they should and shouldn’t be doing, with the goal of keeping themselves safe online. Words and phrases there are to describe solutions that, for whatever reason, are not as effective as we might hope. I recently wrote about phrasal verbs that we use to describe managing problems. While I was researching this area, I started to think more widely about the language of solutions. I noticed how many words and phrases there are to describe solutions that, for whatever reason, are not as effective as we might hope. Do you use cooperative learning in your classroom? Cooperation is working together to accomplish shared goals. Cooperative Learning is particularly beneficial for any student learning a second language. Cooperative Learning activities promote peer interaction, which helps the development of language and the learning of concepts and content. ELLs (ELL is a person who is learning the English language in addition to his or her native language) learn to express themselves with greater confidence when working in small teams. In addition to ‘picking up’ vocabulary, ELLs benefit from observing how their peers learn and solve problems. How students should interact with one another is the point. How teachers structure student-student interaction patterns has a lot to say about how well students learn, how they feel about school and the teacher, how they feel about each other, and how much self-esteem they have. 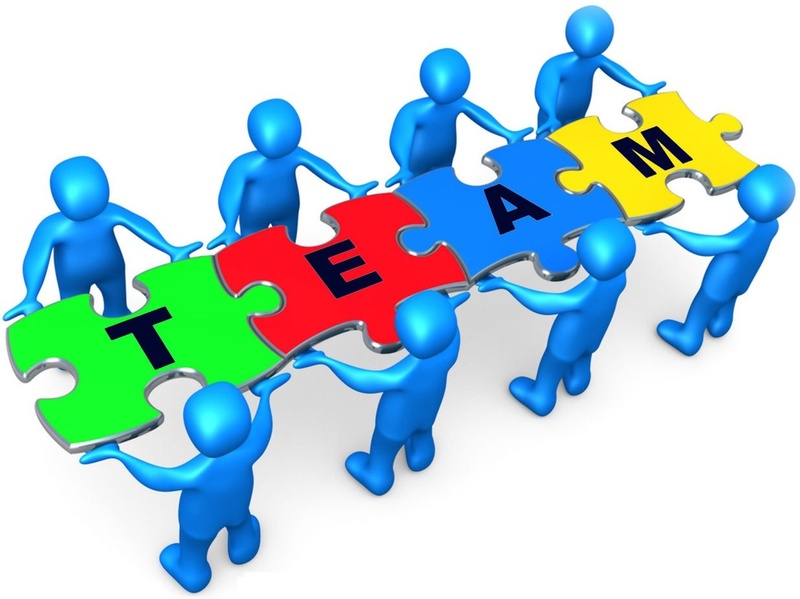 Assign each student in a team a role (such as reporter, recorder, time keeper, and materials manager), you might want to rotate roles each week or by activity or by project. This prevents what typically happens if students select their own roles: the same students wind up performing the same tasks. By rotating, students develop the skills they most need to practice. There are some popular strategies that can be used with all students. Most of these strategies are especially effective in teams of four: take a look at this past post on this same blog: Cooperative Learning: Kagan Structures for English Language Learners. In this post, I am going to focus on two cooperative strategies that I found very useful with my students. Ask students to number off in their teams from one to four. Announce a question and a time limit. Students put their heads together to come up with an answer. Call a number and ask all students with that number to stand and answer the question. The aim is to recognize correct responses and elaborate them through rich interactions and discussions. This strategy ensures that each member knows the answer to problems or questions asked by the teacher. Because no one knows which number will be called, all team members must be prepared. A very useful strategy, moreover, if you have hoarders and shy students in your classroom. The hoarder likes to talk, so they are getting an opportunity to talk within their small group and even teach them. The introvert students will have to pay attention and participate because their number might be called. You have just differentiated learning. Just as in a jigsaw puzzle, each piece — each student’s part — is essential for the completion and full understanding of the final product. If each student’s part is essential, then each student is essential; and that is precisely what makes this strategy so effective. Assign each student in a team one fourth of a page to read from any text (for example, a narrative text or a short tale or biography). Give students time to read over their segment at least twice and become familiar with it. 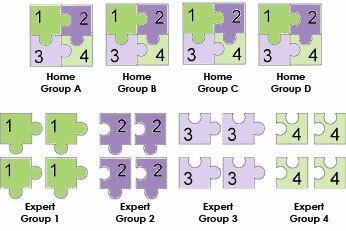 Form temporary “expert groups” by having one student from each jigsaw group join other students assigned to the same segment. Give students in these expert groups time to discuss the main points of their segment and to rehearse the presentations they will make to their jigsaw group. 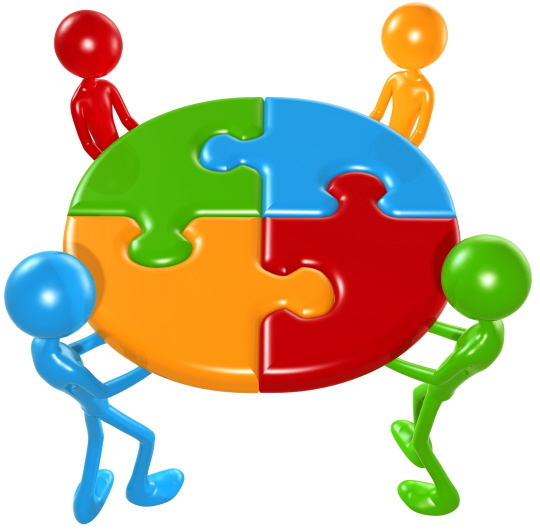 Bring the students back into their jigsaw groups. Each student presents her or his segment to the group and then teaches the others or helps to put together a team product by contributing a piece of the puzzle. After each Cooperative Learning activity, you will want to debrief with the children by asking questions such as: What did you learn from this activity? How did you feel working with your teammates? If we do this again, how will you improve working together? And finally, have students celebrate the hard work of group members.